In 2018 I’ll be presenting a six-part series on the other side of intelligence: intuition. As a former scientist, I’ve found the concept of intuition—under any definition—to be still in its infancy of understanding, and widely undervalued by those not yet ready to hear it. Thankfully, I work on the bleeding edge of practical high performance, and these peripheries of revealed science present an opportunity to embrace actuality and experience—even if it’s uncomfortable! I’m grateful to my colleagues who have fairly recently brought their scientific roots to the enthusiastic awareness and dissemination of this important subject. Specifically, gifted researchers Dr Linda Silverman (2004), and Dr James T. Webb’s co-author Stephanie Tolan (2001, 2004) have previously presented their own insights into the intersection of intuition and intellectual high ability. The Juilliard School in New York is a world-renowned institution catering for gifted musicians and other gifted performing artists. Students at Juilliard are both gifted (high ability) and talented (high achievement). In fact, the Juilliard School has such a strict admissions process that it is estimated students there are in the top 0.1% internationally. In 1992, a research laboratory invited 20 high performers from Juilliard to participate in research on a facet of intuition. Most of the selected student musicians had been playing an instrument since four years of age. Each student was between 17 and 26 years old, with a 50/50 split of males and females. The researchers told each student that they would ‘have fun and learn more about their untapped potentials’ (Schlitz & Honorton, 1992). The research methodology was based on the automated Ganzfeld paradigm. Here, a student is made comfortable in an isolated room (electrically shielded and soundproofed). The student is laid back in a relaxing recliner, has their eyes covered with a blindfold (actually, halved ping- pong balls worn over the eyes and bathed in red light to simulate closed eyelids), with earphones playing static noise to drown out any outside sound. This relaxing state was the basis of the ‘Ganzfeld’ state, from the German word for ‘complete field’. In a separate room down the hall, a ‘sender’ and researcher were seated at a television screen. The sender focused on a randomly-selected image or video clip playing over and over, and while watching it, used their mind to connect with the gifted student in the isolated room. To be clear, the intention of the research was for the sender to send what was being watched on the television, to the blindfolded, isolated gifted student. Through thoughts alone. While in the isolated room, the gifted student was asked to begin verbalising his or her own thoughts out loud. The student’s voice was recorded and relayed to the sender and researcher. Here are some of the results. The final peer-reviewed paper does not include images, choosing to describe these in text only. For visibility and demonstration purposes, I’ve collected and used images that are similar to those described in text about the randomly selected photos or videos. Lumet, S. (1978). The Wiz. Russell, K. (1980). Altered States. The research results showed these highly-gifted students had an intuitive accuracy as high as 75%. In real terms, this means they were performing at triple the chance expectation, with hundreds of replicated studies continuing to achieve statistically significant results above chance. While gifted students consistently charted at the peak of this and related research outcomes, there was one other group that was also consistently at the top: parents and their children! 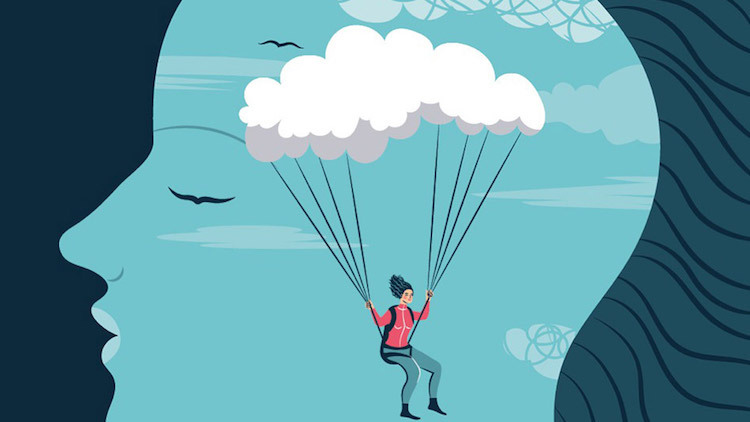 Both gifted children and gifted adults naturally have their senses open by default. They process and respond to more stimuli for more of the time at a deeper level: touching, tasting, hearing, smelling, seeing…and whatever else there is. These sensitivities (sometimes called ‘overexcitabilities’) can be overwhelming. If managed effectively, they can give gifted people an edge in life. Having access to new worlds has its advantages. With all these senses wide open, they are being continually bombarded with new data for processing. The Juilliard research showed us just how effective it can be to ‘switch off’ a few of these senses (touch, hearing, seeing) and make space for intuition to come to the forefront. In part two, we’ll explore more of this connection, including a recent interview with Dr Rupert Sheldrake in Hampstead, UK. Lumet, S. (1978). 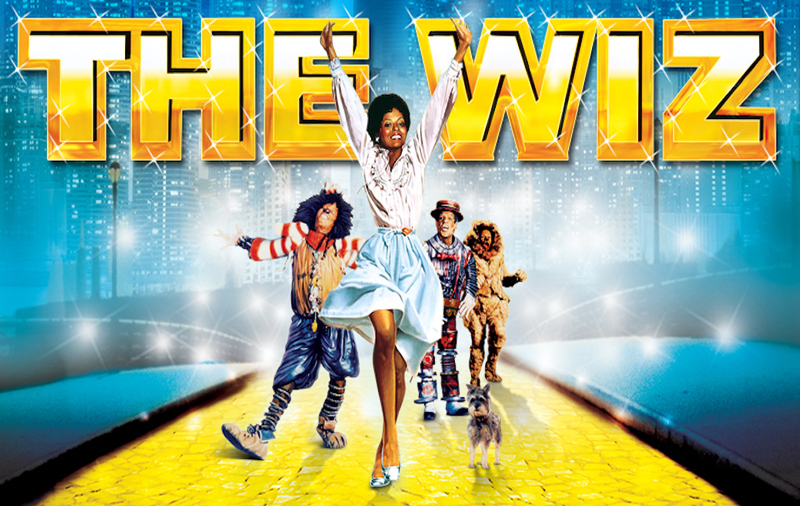 The Wiz (Motion picture). United States: Universal Pictures. Russell, K. (Director). (1980). 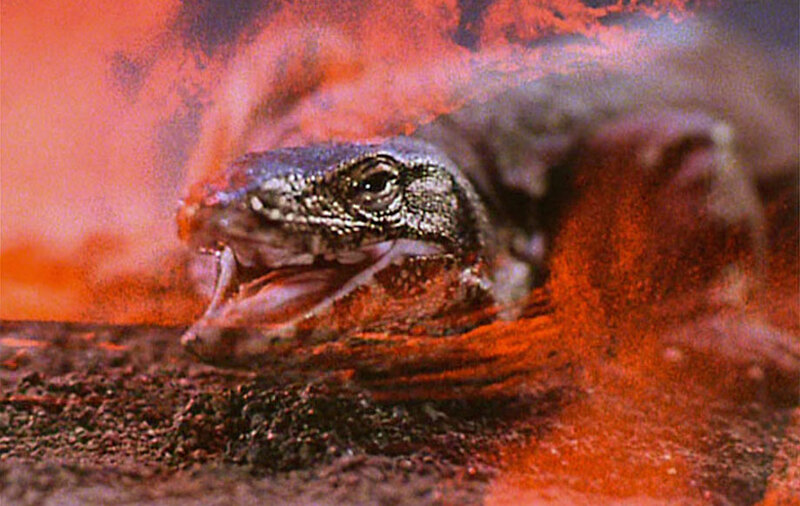 Altered States (Motion picture). United States: Warner Bros. Pictures. Schlitz, M. J., & Honorton, C. (1992). Ganzfeld psi performance within an artistically gifted population. Journal of the American Society for Psychical Research, 86(2), 83-98. Schlitz, M. (2014). Exploring the Akashic Experience: My Personal Journey (Part 3). Marilynschlitz.com. Retrieved from http://marilynschlitz.com/exploring-the-akashic- experience-my-personal-journey-part-3/. Silverman, L.K. (2006). Honoring both sides of the gifted self. Advanced Development, 2006, 10, 19-31. (Exploring Intuition). Tolan, S.S. (2001). Interview Too: An Interview with Stephanie S. Tolan. Retrieved from http:// www.stephanietolan.com/interview_too.htm. Tolan, S.S. (2006). Imagination to Intuition: The Journey of a Rationalist into Realms of Magic and Spirit. Advanced Development, 2006, 10, 45-57. (Exploring Intuition). In 2018, I’ll be presenting a six-part series on the other side of intelligence: intuition. This article covers part two in the series and focuses on an interview with Dr Rupert Sheldrake at his home in Hampstead. 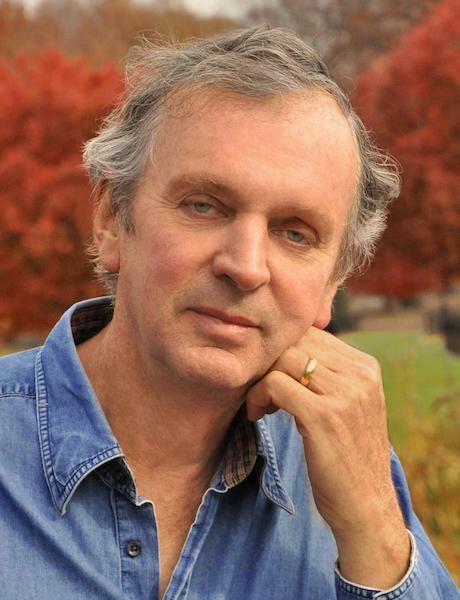 Dr Rupert Sheldrake is a British biologist and author of more than 85 scientific papers and a dozen books. A former Research Fellow of the Royal Society, he studied natural sciences at Cambridge University, and was awarded the University Botany Prize. He then studied philosophy and history of science at Harvard University, where he was a Frank Knox Fellow, before returning to Cambridge, where he took a PhD in biochemistry. He developed a theory of memory in nature called morphic resonance, aligned with both holistic tradition in biology and French philosopher Henri Bergson’s work. 1. The sense of being stared at. This is testable even while blindfolded, or more intriguingly, subjects being watched over closed-circuit (security) cameras. In these experiments, the subject is aware (or subconsciously aware, when measured by skin resistance) of being stared at by someone behind them, or even just stared at on a screen in a closed-circuit camera situation. 2. Dogs who know that their owner is coming home. This is testable (through timecoded video of both dog and owner) even when the owner is hundreds of kilometres away, departing and arriving in a strange vehicle (such as a taxi) at an unexpected time of day. In these experiments, the dog gets up and moves towards the door when the owner picks up their belongings to come home (and in some cases, just thinks about coming home after being instructed by the researchers). 3. Knowing who is calling on the phone. This is testable through having one of four pre-selected callers place a call to a receiver at a preassigned time interval. Receivers use intuition to ‘guess’ who is calling (with a 25% chance of getting a hit). Notably, several research papers found participants hitting 30% and even 40%. All three of Dr Rupert’s major focus areas have a broad base of peer-reviewed, published research with outstanding results. In other words: these experiments on intuition have statistically significant outcomes; above chance levels. In late 2017 I had the luxury of sitting with Dr Rupert at his home in Hampstead. I was particularly interested in discovering links between his research on intuition, giftedness, high performance and children. How does intuition link with intelligence? It’s not higher processing, for sure. It’s not the higher parts of the educated brain. These intuitional skills are an independent variable from intellectual skills and actually, maybe inhibited by them. Which is why in experiments on the sense of being stared at, children do better than grown-ups. And the thing is that people who’ve been highly educated have been trained not to trust their feelings, not to pay attention to them. They’re just trained to do a rational analysis. So that’s where, in a sense, you have to unlearn a lot of modern Western educational training to be good at these intuitional skills. Because the, tendency for the mind to get in the way and say [during the phone call experiments], ‘Well it was that person last time so it must be a different person this time’, or ‘I wonder what John’s doing now’, or ‘probably won’t be him because this is when he goes to the pub and he might not answer the phone’. As soon as people get into that kind of thing, the thinking tends to block out their feelings, through which intuition works. Not easy to do, as anyone who’s tried meditating knows it’s hard to filter out the chatter of the mind. And to pay attention to the feelings in the body, or the heart, or wherever. How does intuition link with high performance, particularly in the sports arena? Say that you were a downhill skier or a fast bowler in cricket—you know, in the Australian test team! Or a ping-pong player. In any of these things that require very rapid responses, my suspicion is that they involve training an intuitive ability to a very high degree. The same would happen at tennis, where they’re serving at 95 mph. In these kinds of fast-moving sports, I think presentiment is engaged, and helps to organise these fast reactions. Just as you can feel up to five seconds in advance when an arousing picture is going to appear on the screen, as in Dean Radin’s presentiment experiments. There’s not enough time to think. It’s impossible that these people should be able to return any shots. And yet they do. I mean, obviously you’ve got to have the right muscles and the right coordination, but I think intuition through presentiment is implicitly going on in the realm of sports. Around 80% of my young gifted clients engage in some form of martial arts. What’s the link here? Martial arts depend on these sorts of intuitions, not just on physical skill but also on reading subtle cues and body language, the ability to know and feel intentions. We’re dealing with something which is on the borderline between just physical skill and intuition, and a kind of tuning of the whole body in response, being able to be in the present. I think this is present in all sports, but martial arts are more explicit about it. If you think of typical Western sports like rugby, I’m sure they involve intuitive knowing but they give the impression of being much more based on brute force. In the feeling of being looked at or stared at, it’s already naturally there in animals and in people. If you’re sensitive to knowing you’re being looked at with a hostile intention, that’s a useful skill. People who are totally insensitive are more likely to get beaten up or attacked than people who are sensitive. That’s the reason that some martial arts teachers actually train people in this skill. And as I quote in one of my books, big game hunters like Jim Corbett were convinced that they could feel when a tiger was looking at them—that saved their lives. How is intuition helped or hindered by the school system? Well, I think a lot of children have very strong intuitive abilities. And I think these are inhibited by education, not encouraged by it. Our entire school system is designed to make the left-brain dominant with the kind of linguistic processing. Think of school exams, where practically all of them involve sitting down at a desk writing things. We now have something like 50% of the population going to university here in Britain, getting an academic-style education that’s all about exams. Learning material for written exams is I think a totally inappropriate education for a lot of people. What else can you tell me about intuition in children? Many children are very intuitive. My own children, when they were young, were amazing. My son, Merlin, when he was four, when I did the staring experiments with him, he was right every time. No one else has ever been right every time. But as he got older and learned that it is possible to be wrong, and that people criticise it and say it doesn’t really happen, his abilities fell off quite fast. By the time he was 10 or 11 he was still better than grown-ups, but he was at his very best when he was four. And when he was really young, you know, 3, 4, 5, 6, he was very telepathic with me and picked up my thoughts in a remarkable and striking way. But you know, then as he got older, this fell off and by the time he was a teenager, there was not much of this going on. So in relation to children, I think that more important than training it is appreciating it and not inhibiting it. And I think the great majority of the upbringing process is about inhibiting it… it’s a very peculiar culture we live in. Because children are actually encouraged to be animistic—the belief that every natural thing in the universe has a distinct spiritual essence. I mean, they’re given children’s books about talking animals, like Rupert Bear and Winnie the Pooh and Paddington Bear. And then lots of fairytales where magical things happen and people can talk to animals and so on. A lot of children’s stuff is a magical world. And then children are encouraged to believe in Santa Claus, a magical shamanic figure that comes down the chimney in the colours of the fly agaric mushroom. But when children reach the age of eight or nine, then they’re ridiculed if they still believe in the tooth fairy or in Santa Claus or in any of these things. So children are encouraged to believe this stuff, and then, our whole culture says: ‘You’re big enough now to know this is all rubbish’. And that leads to a general loss of faith in the spiritual realm too, because atheists say, ‘Believing in God is like believing in the tooth fairy. Only kids or people who are mentally undeveloped believe that. You’re big, you’re grown up, you’ve seen through all this. You’re rational’. So I think it’s a very peculiar feature of our culture. It doesn’t happen in every culture. I mean, in India for example, grown-ups believe in magic too. And grown-ups believe in magical powers and in intuition and telepathy and all those things are taken for granted there. And that’s true in almost every culture in the world traditionally. It’s only in modern European cultures that we have this kind of dogmatic rationalism, which is part of the educational system, designed to stamp out intuitive responses. If intuitive abilities survive, they survive in spite of the educational system, not because of it. In part three of this series of articles, we’ll explore the worlds of giftedness and imaginary friends. Sheldrake, R. (2002). Seven Experiments That Could Change the World. Rochester, Vt.: Park Street Press. In 2018, I’ll be presenting a six-part series on the other side of intelligence: intuition. This article covers part three in the series and looks at imaginary friends in high ability. As a child, did you ever have an imaginary friend? What do you remember about them? Maybe you remember their name. Maybe you remember what they looked like. Perhaps you can even recall events you shared together. In some stories I’ve heard from gifted clients, imaginary friends from childhood were as real as a human brother or sister. In one of her 100 published books, British psychologist and intuition expert Cassandra Eason (1994) tells the story of a high-ability executive named Andrew, a ‘logical, macho, sometimes cynical business person’, and his childhood imaginary friend. When Andrew was about six years old, this new imaginary friend entered his life. ‘Haimayne’ (pronounced hye-mayn) was a lion with wings and a dragon tail. He was brown and yellow, with skin like velvet. 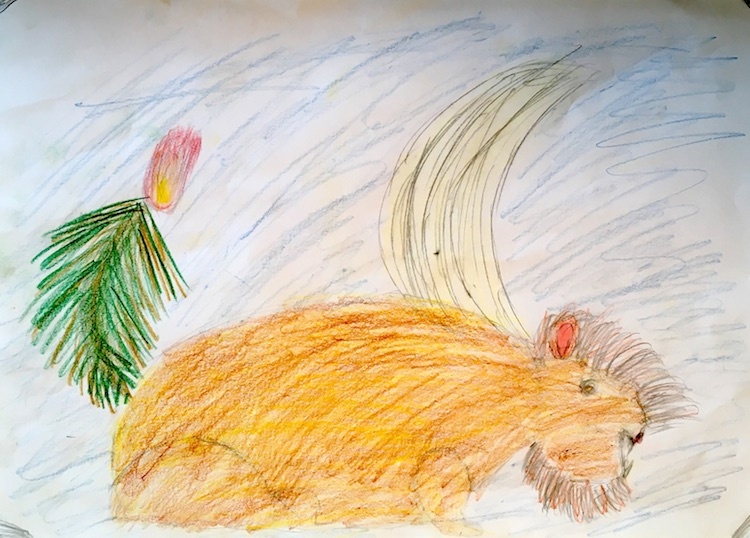 ‘Haimayne’, by Kate (seven years old). Andrew got to spend a significant amount of time with his new friend. With busy parents, Andrew was generally left to his own devices on a large property in the English countryside. Andrew’s imaginary friend had a major impact on his life as a teacher and best mate. Haimayne spent time mentoring Andrew on what to do and how to do it. Haimayne left physical traces on the real world as well. Haimayne would only come into the house if he was invited. Sometimes he would knock on the door. We had a huge brass knocker, and I would know it was him. My Dad would answer and look up and down, because he could not see anyone outside. Haimayne would be there giving one of his funny looks, and my mother, who would not even look up, would say, ‘Come in then’. One snowy evening, after Andrew had been running an errand several kilometres away, he got lost trying to return in the dark. His imaginary friend came to the rescue; Haimayne walked ahead of him, leaving footprints visible in the snow to mark the way home. And that’s not even the most extraordinary part of the story! Nearly two decades after Haimayne first appeared, when Andrew was 24 years old, he travelled to see his mum and baby step-sister, Becky. He listened in awe to a story the then three-year-old told him. 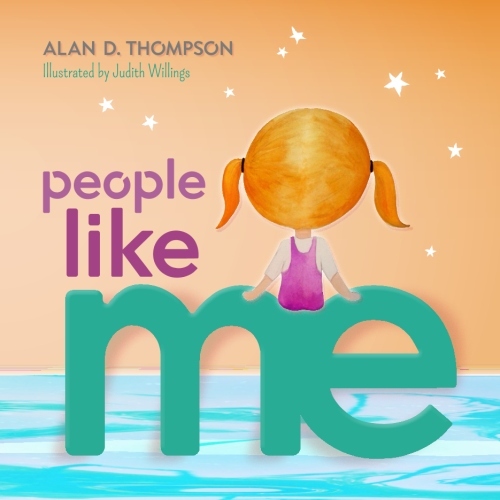 She described an imaginary friend that she had just met who had begun spending time with her. He was yellow-brown, and looked like a lion, or a ‘cat dog with wings’. With a dragon tail. Despite her motor speech disorder, she did her best to pronounce his name as she heard it: Heywain. While imaginary friends and giftedness have been documented in the literature, the links between intuition, imaginary friends, and high ability is sparse. In his study of over 1,500 high-ability children, gifted researcher Lewis Terman (1925) found that: ‘A good many gifted children have had imaginary playmates, or [founded or explored] imaginary countries’. Assuming a lower reporting rate of 85%, Michele Root-Bernstein’s (2014) data analysis of Terman’s study found imaginary companions were present for 17% of gifted boys and 34% of gifted girls. Her own research also found that this kind of ‘worldplay’ (including imaginary friends) was twice as common in highability creative achievers as it was in the typical student population. Some time later, Swiss psychologist Jean Piaget (1951) described imaginary friends as a sign of failure: ‘the child has no imagination, and what we ascribe to him as such is no more than a lack of coherence’. One of Piaget’s university classmates was Polish gifted psychologist Kazimierz Dabrowski (1964), whose work seems to point to imaginary friends as an indicator of the very real and coherent emotional and imaginational ‘overexcitabilities’ (or just ‘sensitivities’) visible in high-ability children. This concept is still part of the modern understanding of and provisions for gifted children in Australia and internationally. High-ability children often have imaginary friends, and these may be an intuitive gateway to intuition, the other side of intelligence. This intuition—these friends—should be valued as an important part of the children’s lives and accepted as one of the family for as long as they are around. But imaginary friends aren’t just for children. As high-ability adults, we still have access to this same level of intuition. The key is on allowing this to come through. Creating space. Having quiet time. Letting the other side of intelligence in. American psychologist and author Dr Kirby Surprise (an interesting example of nominative determinism—names fitting roles) is a leader in the research on synchronicity, and integrates practical results into his home life. One of the most unusual and incredible examples of this is his ability to ‘create’ imaginary friends that other people can sense and interact with. My wife and I were living in an apartment in the Bay Area. We worked opposite shifts, and the apartment often seemed lonely and empty without her. So, having read David-Neel’s material on tulpa, I decided to make a thought form to keep me company. I thought about making an invisible cat, but decided the dog might sense it and have objections. I decided on a human figure. I didn’t want to make anything that could be mistaken for having a personality of its own, I wanted more of a simple automated form that would randomly wander around and keep people company. For about an hour, I pictured a transparent human figure about five feet tall. It purposely had no [gender], it was just a vague outline of a form, a shell. I stopped the meditation when it was time to leave for work. I returned home 10 hours later. My wife was home. She was pissed. ‘Get rid of it!’ She yelled. ‘What…’ I began, with my innocent bystander look. ‘Oh, that.’ I tried to explain it was just a harmless thought form, a kind of pet to keep the place company. She wasn’t calming down. While Dr Kirby learnt his lesson, it didn’t stop him creating another imaginary friend in his own private space: his den. Last time I saw Jurassic Park I decided to create a raptor. Mine is about three feet tall, wears a turned around baseball cap, has a lot of gold bling, and diamonds set in his teeth. He’s a Veloci-rapper. It’s programmed to hang out in the den and greet people. Of course, nobody sees him. Almost nobody. Last year my daughter’s friend Rose went into my den to look for something, and came out rattled and upset. She’s a little high strung anyway. She said there was a giant lizard in my room. It jumped up and greeted her like a puppy dog. She said it was some kind of dinosaur. Some things are only funny if you have a sense of humour. Beginning at the age of 38, even wellknown Swiss psychiatrist (and founder of analytical psychology) Dr Carl Jung had a kind of imaginary friend. This friend first appeared to Jung in a dream: ‘it was an old man with the horns of a bull. He held a bunch of four keys, one of which he clutched as if he were about to open a lock. He had the wings of the kingfisher with its characteristic colours’. 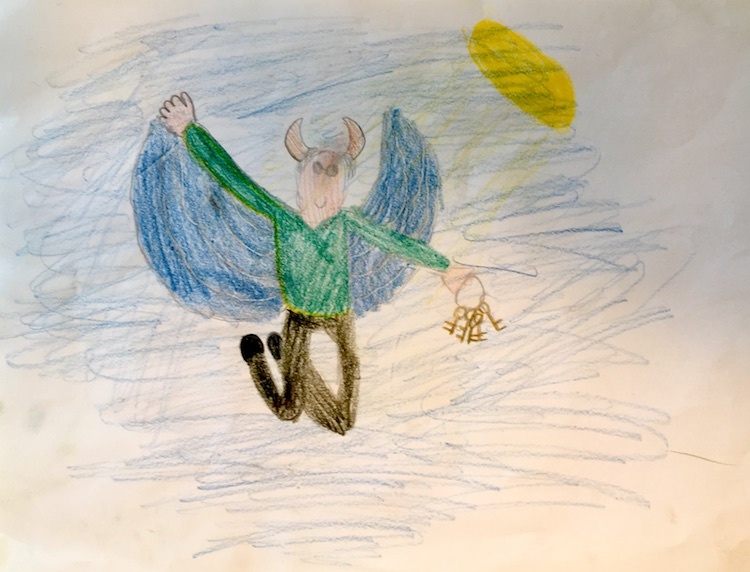 ‘Philemon’, by Kate (seven years old). Philemon represented a force which was not myself. In my fantasies I held conversations with him, and he said things which I had not consciously thought. For I observed clearly that it was he who spoke, not I… Psychologically, Philemon represented superior insight. He was a mysterious figure to me, at times he seemed to me quite real, as if he were a living personality. I went walking up and down the garden with him, and to me he was what the Indians call a ‘guru’. With the progression of human knowledge moving at a rapid pace, it’s disappointing that this frontier of intuition hasn’t been explored more deeply. It could be said that we haven’t moved at all from Hollingworth and Piaget’s 80-year old concerns that imaginary friends are not quite real, and perhaps not quite psychologically healthy. 1. What do you think about the concept of imaginary friends as a source of guidance and support? 2. How do you feel about the concept of imaginary friends as a source of guidance and support? You may have noticed that I have been careful not to draw conclusions or present personal views on the findings about intuition so far. I’m enjoying revealing some of the more credible figures (and incredible stories) presenting the lesser known research and insight in this fascinating area. 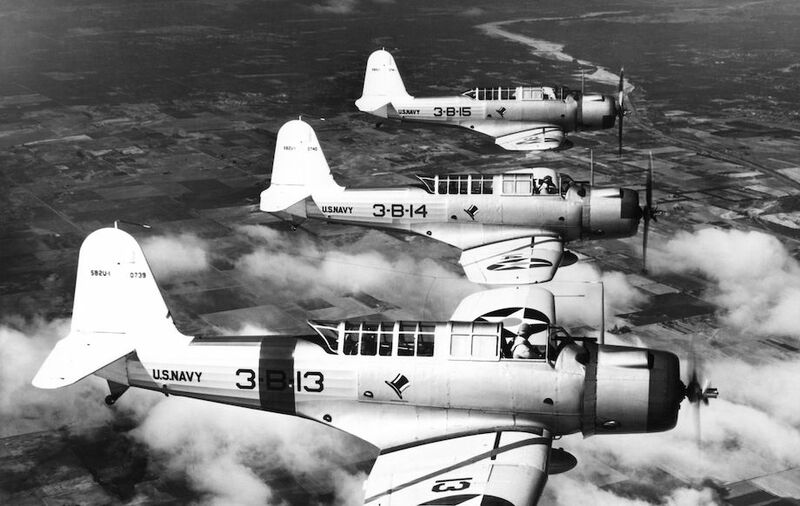 In part four of this series, we’ll talk more about intuition and high performance. Dabrowski, K. (1964). Positive disintegration. London: Little, Brown. Eason, C. (1994). Psychic power of children: and how to deal with it. London: Foulsham & Co.
Fox, M. & Sheldrake, R. (1996). The physics of angels. San Francisco: Harper. Hollingworth, L. S. (1942). Children above 180 IQ Stanford-Binet; origin and development. Oxford, England: World Book. Jung, C. G., & Shamdasani, S. (2012). The red book: A reader’s edition. New York: W. W. Norton & Co.
Lyons, P. (2009). Emotional sensitivities and intensities of gifted children (Unpublished manuscript). La Trobe University. Bendigo, Australia. Mayer, E.L. (2007). Extraordinary Knowing: Science, Skepticism, and the Inexplicable Powers of the Human Mind. New York: Bantam Books. Piaget, J. 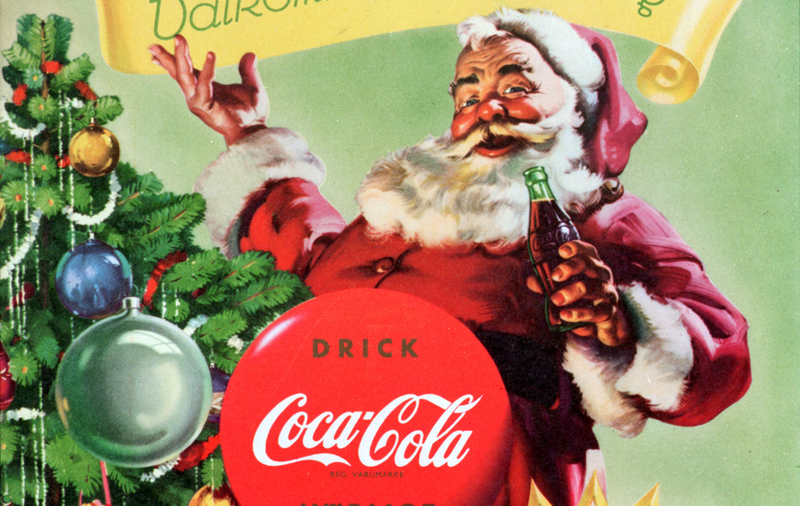 (1951). Play, dreams, and imitation in childhood (p. 131). New York, Norton. Romanyshyn, R. (2000). ‘Alchemy and the subtle body of metaphor: Soul and cosmos’ In Brooke, R. (Ed.) Pathways into the Jungian world (pp. 27-44). London: Routledge. Root-Bernstein, M. (2014). Inventing Imaginary Worlds: From Childhood Play to Adult Creativity Across the Arts and Sciences. Table 5.1. Reports of imaginary Companions and Imaginary Worlds in Terman’s 1925 Study of 643 Gifted Students. Based on data on pp. 41, 435-437 in Terman, Lewis M. 1925, Genetic Studies of Genius, vol. 1, ‘Mental and Physical Traits of a Thousand gifted Children,’ Stanford u. Press, Stanford, CA. Lanham, MD: Rowman & Littlefield Education. Surprise, K. (2012). Synchronicity: The Art of Coincidence, Choice and Unlocking Your Mind. New Jersey: The Career Press. Terman L. M. (1925). Genetic studies of genius: Volume I. Mental and physical traits of a thousand gifted children. Palo Alto, CA: Stanford University Press. In 2018, I’ll be presenting a six-part series on the other side of intelligence: intuition. This part four focuses on scientific intuition in high performers, including Nobel laureates. The major catalyst for my exploration of these fascinating fields—intuition and high ability—was precipitated by a seminar with Professor Miraca Gross. In a talk on general giftedness and gifted labels—and almost as an offhand comment—Miraca casually mentioned one of her early case studies, Chris Ottway. This 10-year-old boy was profoundly gifted (a calculated IQ of 200), and had the capacity for what she called dual processing or parallel processing: ‘the seeming ability to process two sets of information simultaneously and in parallel…both the prevalence and the quality of this are significantly more marked in children…of IQ 175 or above’. ‘Christopher is one of the few people who truly seems to be able to handle information in parallel. For instance, when he was working on quite a difficult question in the assessment, and was obviously thinking and talking on that particular problem, he suddenly interrupted himself to produce the solution to a previous problem which he felt he could improve on.’ (Gross, 1993, p. 15). Just how was Chris able to parallel process more than one piece of information at a time? Miraca was keen to know more about this concept, and about exactly how this processing occurred. Besides this vivid illustration of the superpowers inherent in advanced brains, it led me to a question: What is the difference between this advanced processing, where the path or answer is derived from logic, and ‘intuitive knowing’, where the path or answer appears from elsewhere? Researchers have been analysing the lives and successes of high-ability and high-performance individuals for at least the last century or so. While it may be challenging to agree on what constitutes a ‘high performer’, it is generally agreed that the eminence of Nobel laureates qualifies them for this label. The Nobel Prize has been awarded nearly every year since 1901, and is widely regarded as the most prestigious award available in the fields of literature, medicine, physics, peace, chemistry, and economics. Despite these days both being a cliché to the point of caricature, and having many misattributed quotes, Professor Albert Einstein was one of the first laureates, and also one of the first modern scientists who spoke publicly and candidly about intuition in high-ability individuals. 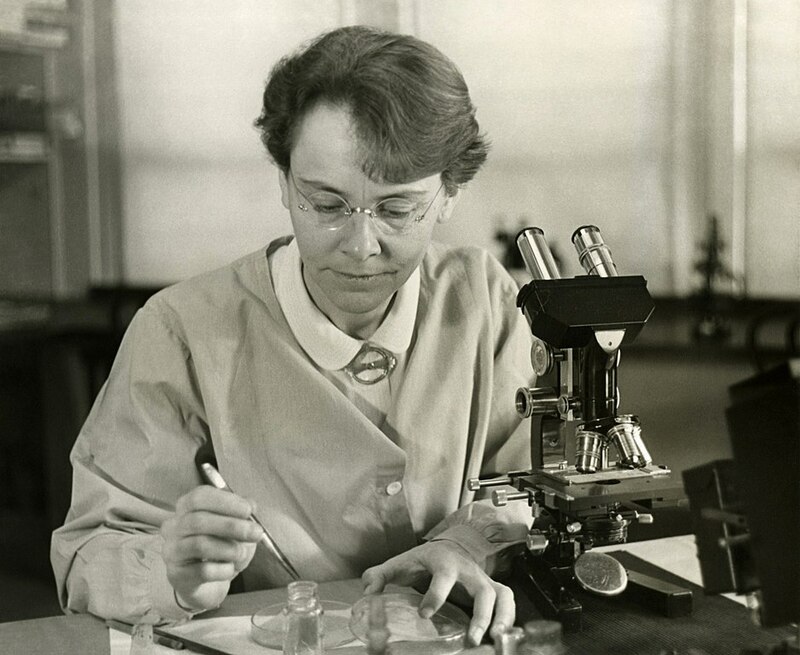 Another prominent laureate is Dr Barbara McClintock (still known as ‘America’s Most Distinguished Cytogeneticist’). Barbara was very open about how she trusted and leveraged intuitive nudges in her research. In one case, while studying the genetics of corn, she relied on intuition to such an extent that she was able to look at corn plants in the field and immediately know what the cells’ nuclei would look like under a microscope. ‘Before examining the chromosomes, I went through the field and made my guess for every plant as to what kind of rings [chromosomes] it would have—would it have one, two, or three, small or large, which combination? And I never made a mistake, except once… I raced right down to the field. It was wrong; it didn’t say what the notebook said it should be! I found that… I had written the number from the plant adjacent, which I had not cut open. And then everything was all right.’ (Keller, 1983, p. 102–103). Here, the probability of a hit through ‘guessing’ is around 17%. Instead, Barbara’s intuitive predictions were perhaps 100%. Perhaps surprisingly, Barbara is not an outlier in her application of intuition to scientific discoveries and success. In a phenomenographic study covering more than a decade of Nobel laureates, 86% of laureates (72 out of 83) declared their belief in ‘scientific intuition’. The remaining 11 laureates who expressed doubts about using the word ‘actually referred to experiences of the same kind as the other 72 participants who acknowledged scientific intuition. Basically all the participants seem to agree on the existence of certain experiential realities’ (Marton et al, 1994). The 1994 paper—like this entire field—is fascinating. Laureates open up about their personal experiences with this hidden part of humanness. Professor Michael S. Brown, laureate in medicine, states: ‘There was almost a hand guiding us. Because we would go from one step to the next, and somehow we would know which was the right way to go. And I really can’t tell how we knew that…’. In particular, there is a link drawn between the way that these laureates make leaps, and how young children are able to use intuition to derive answers quickly—sometimes immediately—by glancing at a maths problem. You may have observed this yourself in your own child, or in a student. It is as if the mind has devoured the problem, and in its digestion, intuition is bubbling up new solutions to the surface. Notably, this goes against most current education environments where ‘show your working’ is enforced (usually to the exclusion of wisdom), and is perhaps also downgraded at home where old ways of learning are tacitly supported. And intuition doesn’t make logical sense. The author of the research on laureates, Swedish educational psychologist Professor Ference Marton noted, ‘intuition not only feels different from logical reasoning, but it cannot even be explained in logical terms’. How much would we miss by ignoring this major part of our thinking, feeling, and being? More importantly, how much do we have to gain by being open to exploring intuition more deeply? In part five of this series, we’ll talk more about intuition and synchronicity, including my statistically improbable (approaching impossible) encounter with one of Professor Miraca’s exceptionally gifted families. Einstein, A. (1931). Cosmic Religion: With Other Opinions and Aphorisms. New York: Covici-Friede. Gross, M. U. M. (2009). Highly gifted young people: Development from childhood to adulthood. In L. V. Shavinina (Ed. ), International handbook on giftedness (Part 1, pp. 337-351). Amsterdam: Springer Science. Gross, M. U. M. (1993). Exceptionally gifted children. London: Routledge. Hermanns, W. (1983). Einstein and the Poet: In Search of the Cosmic Man. Life magazine. (1953). ‘Death of a Genius’. Life magazine. May 2, 1955. Marton, F., Fensham, P., & Chaiklin, S. (1994). A Nobel’s eye view of scientific intuition: Discussions with the Nobel prize-winners in physics, chemistry and medicine (1970–86). International Journal of Science Education, 16(4), 457–473. Silverman, L. K. (2006). Honoring both sides of the gifted self. Advanced Development, 10, 19–31. (Exploring Intuition). In 2018 I am presenting a six-part series on the other side of intelligence: intuition. This part five focuses on synchronicity. In January 1989—around three decades ago—Professor Miraca Gross found 31 of the brightest children in Australia. 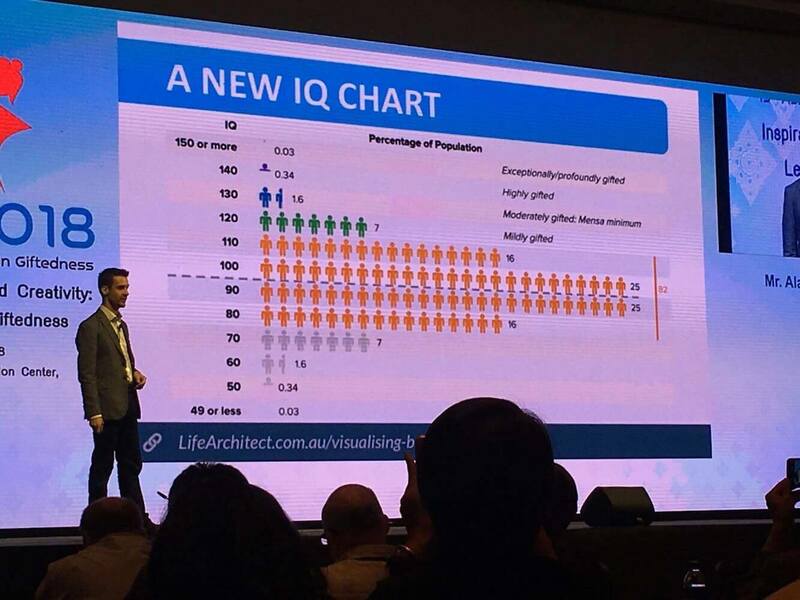 Each with an IQ of over 160 (appearing at the top 0.003 percent of the population or rarer), these children were found in South Australia (18), Victoria (6), the Australian Capital Territory (3), New South Wales (3), and Tasmania (1). Perhaps because of Miraca’s home city at the time— Adelaide— the children were all from the east coast of Australia. None were drawn from Western Australia. Miraca then selected less than half of these 31 children to participate in what has become an internationally renowned study, that of exceptionally gifted children. Similarly to the famous Seven Up! television series, Miraca has followed these children through the 1990s, 2000s, and many of them continue to appear in the media in 2018. After the story below played out, I’ve had the pleasure of Miraca’s professional collaboration and friendship for a number of years, and I continue to reference her findings in my coaching for all clients. Despite usually avoiding this question, or giving a general answer of ‘consulting’, I began telling him of my career as a coach, including work with bright families. His face lit up. ‘I am the parent of one of the children in Miraca Gross’ study!’ he proudly told me. Of course, this led to a much longer conversation. Afterwards, I considered the probability of this kind of synchronicity (or serendipity). As far as I know, though there are some gifted coaches in other parts of the world, I am the only gifted coach in Australia. And while I’m certainly no statistician, it would seem to me that we can use the previous percentage of 0.003% plus the fact that none of the children in that study are in my current city, to come to the conclusion that this kind of meeting had a probability close to zero. I’m not sure the common response of ‘it’s a small world’ is a good enough explanation for happenings like this either. As a teenager in Orleans, Dave meets an older man named Frank. Frank is an Englishman living in France, and he introduces Dave to a very British dessert for the first time: plum pudding. It’s the first time Dave has even heard of plum pudding, and certainly the first time eating it; he loves it! A decade goes by, Dave hasn’t touched the dessert since, and he is now 100 km away in a completely different city. One day, he passes a Parisian restaurant that has plum pudding on the menu. He goes inside to order, only to be told the last of the plum pudding was just sold to a gentleman sitting in the back. It’s Frank, again! The waiter calls out loud, ‘Frank, would you be willing to share your plum pudding with this gentleman?’ Frank is more than happy to oblige, and Dave has his second experience of plum pudding. be served. Of course, it is once again the English plum pudding, Dave’s third time eating the dessert. Dave jokingly says that one of the guests at the party must be Frank. At that moment, the doorbell rings and Frank is announced. And he enters, he’s an old man by now, but Dave recognises him. And Frank looks around and he realises that he’s in the wrong apartment. He was invited to a dinner party, but had arrived at the wrong (or right) address. In the 1900 retelling, Dave says: ‘My hair stood up on my head’. Have you noticed events like this in your own life? How do these kinds of events happen—and how can we create (or allow) more of them? Are they just a statistical anomaly? Pattern-making in the advanced brain? Random chance? Or something more? Wouldn’t it be useful if we could draw on this sense of wellbeing more often? It has been my experience that when we can let go and allow things to resolve themselves, to line up, and especially to work in our favour, they usually do. Sure, the ‘letting go and allowing’ part of this may be the most challenging. But it’s also the most essential. There’s a foreword in Dr Dean Radin’s book, Supernormal (2013), written by a metaphysicist. It explores belief, facts, and reality in synchronicity in intuition. I hope that wherever you are in the world today, whatever you are creating, and whenever you expect it to come to fruition, that you can sit back, relax, do less(! ), and allow the gentle unfolding to continue effortlessly. Flammarion, C. (1888). L‘atmosphère: météorologie populaire. pp 163. Flammarion, C. (1900). L’inconnu: The Unknown. Paris: Harper. pp 194-195. Inglis, B. (1990). Coincidence: A Matter of Chance – Or Synchronicity? London: Hutchinson Press. ‘Most of our so-called reasoning consists in finding arguments for going on believing as we already do.’— James Harvey Robinson, American historian. 2005 (Telegraph). 10-year-old Tilly Smith is on holiday with her family on a beach resort in Thailand. She notices the tide rush out, even though it is the middle of the day. Further out, the water begins to bubble, and the boats on the horizon started to violently bob up and down. Tilly is fairly bright; she tells her parents that these are warnings signs that a tsunami is on the way. On her advice, the resort is evacuated, and when the inevitable wave wipes out everything in its path along the beach, there are no injuries or fatalities at her resort. Intuition? Probably not. Just plain ol’ logic. October 2, early 2000s (Mayer, 2008). Child psychologist Dr Susan Coates is in the middle of a session with her regular client, a four-year-old girl. Out of the blue, while playing, the girl shouts: ‘Your brother is drowning—you have to save him!’. It is actually Dr Susan’s brother’s anniversary, having drowned a few years earlier. Dr Susan has never shared this information with clients (‘there was no way that this child could have known about this fact of my life’), and there is nothing physical in the office to reflect her brother. Intuition? Probably. A mix of emotional understanding and extra-cognition. Intuition? Probably. Direct access to others’ words and language. Intuition? Probably some form of telepathy using imagery. 2000s (Dossey, 2013). An American woman gets an intuitive and powerful nudge that her son, thousands of kilometres away, is in trouble. From out of the blue, a string of digits appears in her mind ‘whose meaning was utterly obscure’. She decides to dial the cluster of numbers on her phone. On the other end of the line, the emergency room of a distant major hospital answers. ‘May I help you?’ a nurse asked. ‘I have no idea. I’m just worried about my son,’ the woman stammered. ‘Who is he?’ She told the nurse her son’s name. Intuition? Probably a kind of clairvoyant (clear seeing) knowing. 2012 (Thomas, 2012). Eight-year-old Alma Deutscher is very gentle with herself when it comes to writing music. She waits for the melody to come to her. She tells an American television show about her magical purple skipping rope: ‘I wave it around, and melodies pour into my head’. Later, she’ll admit that melodies also come to her fully formed in dreams (like her first opera, Sweeper of Dreams), and from her imaginary friends Antonin Yellowsink and Ashy and Shell and Flara. Intuition? Probably a combination of implicit musical knowledge, plus access to knowing through dreams and other worlds. Intuition? Probably access to energy through other worlds. Have we answered the question yet—what is intuition? It seems to cover a very broad range of inputs and outputs. Is it an inner way of knowing? Is it telepathy? Is it magic? French philosopher Henri Bergson (1946) said that intuition is an innate human characteristic. It is an internal process that provides a direct understanding of oneself, anything, or anyone that interacts with the self. He believed that intuition was a process by which knowledge was acquired. Further, he felt that philosophical intuition was the connection of the human mind with scientific fact. Bergson believed that intuition could only be used by the intellectually gifted. However, Dr Rupert Sheldrake (see earlier articles in this series) and other researchers (Bastick, 1982) believe that intuition is a universal ability available to all humans, not just the smart ones. Perhaps intuition is even hindered by a focus on straight logic. Certainly, humans have the option of focusing on only one at the expense of the other. – First Intelligence by Simone Wright. – Extraordinary Knowing by Elizabeth Lloyd Mayer. – Synchronicity by Dr Kirby Surprise. – The Power of Premonitions by Larry Dossey. I’m looking forward to solidifying these ‘sketches’ and scaffolding of intuition into something more formal and clear-cut. If you have a story about intuition in your own life, I’d love to hear it. That’s it! Hope you enjoyed this exploration of intuition across high ability. Bastick, T. (1982). Intuition: How we think and act. New York: John Wiley & Sons. Bergson, H. (1946). Intuition och intelligens. Stockholm: Wahlstrom & Widstrand. Rowland, M.D. (Director). (2009). Being in Heaven [Motion Picture]. Australia. Tolan, S. S. (2004). ‘Imagination to Intuition: The Journey of a Rationalist into Realms of Magic and Spirit’. Advanced Development: A Journal on Adult Giftedness, Vol 10. Exploring Intuition. The Institute for the Study of Advanced Development. 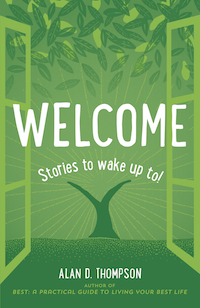 Welcome: Stories to wake up to! 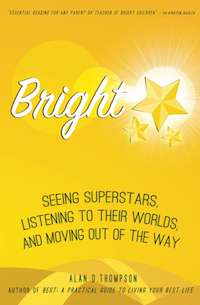 Get your free copy of Alan's seminar handout Illumination, a mini-book for bright families and high performers with curated content from experts and professors around the world. 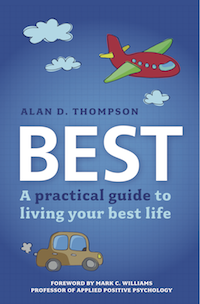 Alan D. Thompson, founder of Life Architect, is recognised as the expert for practical results in the lives of successful people. Contact Alan by email.